Cazino Cosmos slot is a futuristic game from Yggdrasil that has some unique features and a cool theme to attract your attention. It’s Yggdrasil, so they’ve tried to make this game stand out in every aspect, but does it actually make for a good slot? There are also 2 Wild symbols in Cazino Cosmos slot. The first is just a standard Wild symbol which substitutes for all of the aforementioned symbols in a winning combination. The second is a collection Wild symbol which works in a similar way but, appearing only during the base game, it’s added to its own collection. Lastly, there’s a Scatter symbol. Free Spins Bonus. This is triggered by 3 or more Scatter symbols as you might expect. 3 of them will give you 10 free spins along with a small cash reward, 4 will give you 15 free spins plus the reward and 5 will give you the maximum number of 20 free spins plus the same reward. If you get just 2 Scatter symbols you’ll still receive a cash prize but no free spins. During the Free Spins Bonus, all Wild symbols become sticky Wild symbols which is pretty helpful. Not only that but if there are any when the Bonus is triggered, they’ll be sticky for the Bonus too. If you manage to get a Wild symbol on every reel (they’re sticky remember so it’s a bit easier), you’ll be given an extra 5 free spins. 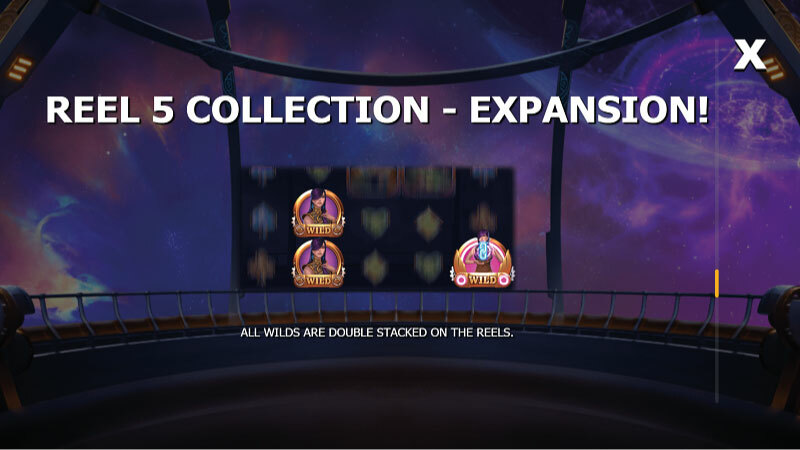 Reel 1 Collection – Card Shot Free Spins. At the beginning of the free spins here, 2 sticky Wild symbols will be added to the reels in random positions. Reel 2 Collection – Hack Free Spins. With this reel triggering the Bonus, you’ll be given an extra 5 free spins at the beginning. Reel 3 Collection – Zero Gravity. This time, if a reel can reveal a Wild symbol by nudging 1 position up or down it will do so. Reel 4 Collection – Mutation. This can turn, or mutate rather, a random high paying symbol into a Wild symbol on any spin. Reel 5 Collection – Expansion. Here, all Wild symbols are double stacked on the reels for some extra wins. 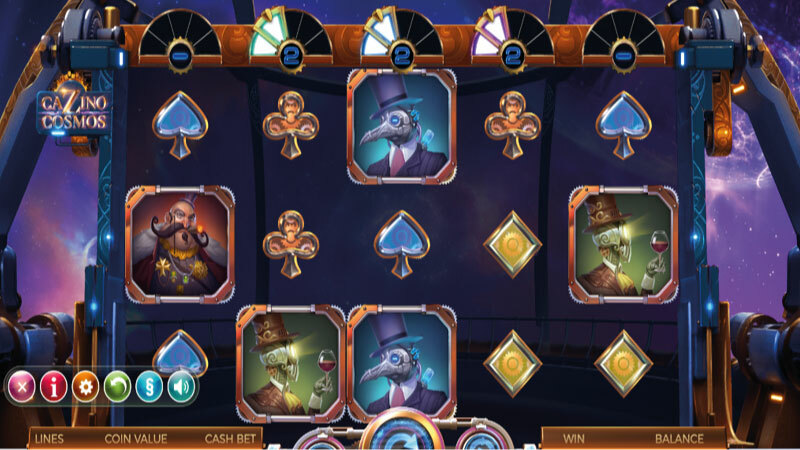 Cazino Cosmos slot from Yggdrasil certainly looks the part as we’d expect from a company that always goes above and beyond in terms of both looks and gameplay. The space theme is cool and different from other slots that goes with a similar theme. The features on offer here are a bit unusual and quite in-depth too. You have the Free Spins Bonus which works pretty well on its own, providing sticky Wild symbols to help generate some extra wins and a way to win more free spins. But it’s the Collections feature that’s most interesting, with a collection on each reel providing a different feature like free spins, more Wild symbols and so on. None on their own are particularly incredible, but they come about fairly often and make the game pretty entertaining. The payouts are decent but don’t expect anything massive, that’s not what this slot is about. Overall, I quite like it but I certainly don’t think it’s one of Yggdrasil’s best. Give it a try and let us know what you think down in the comment section below. Unique features for each reel.